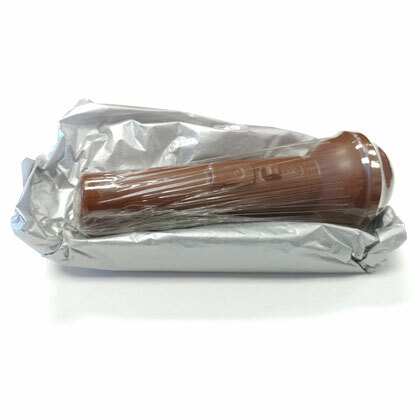 Practice your American Idol auditions with this solid milk chocolate microphone. 6.5 inches tall. 5.5 oz. Kosher Dairy under the Star-K Dairy Supervision.